The Senate Commerce Committee today reported problematic S.1092, the Interstate Transport Act of 2018, out of committee. Sponsored by Senator Mike Enzi (R-WY), S.1092 attempts to protect knife owners traveling interstate with knives. This bill is a weaker and problematic version of Knife Rights’ Knife Owners’ Protection Act (KOPA). S.1092 would theoretically provide safe harbor to someone traveling with knives where it is lawful for the knives to be possessed at both the points of origin and destination, so long as the knives are secured and inaccessible during the intervening travel. While the sponsor amended the bill to accommodate a number of very serious technical issues raised by Knife Rights in the original version of the bill, unfortunately S.1092 would still leave knife owners at peril when they need its protections the most. In those states where they are most at risk, such as New York and New Jersey, for example, it lacks critically important provisions to ensure their protection. S.1092 does not include a right of action which would provide for persons unlawfully detained for transporting their knives properly secured in compliance with the act to seek financial compensation from a jurisdiction that ignores the intent of Congress to protect these travels. Without a strong right of action, there is no deterrent–biased and rogue jurisdictions would have no incentive to follow the law. Acting with impunity, without fear of any meaningful recourse from their law-abiding victims, these rogue jurisdictions will further persecute citizens who attempt to defend themselves from illegal, and unjust or misguided enforcement actions. A robust right of action holds jurisdictions financially accountable for the victim’s losses if they willfully ignore the law. A strong right of action causes jurisdictions to consider these adverse repercussions before they arrest or prosecute an individual that is protected under the act. The unfortunate reality is that were this bill to become law, it would actually put many knife owners at greater risk of prosecution, financial jeopardy or ruin and loss of civil rights because they would believe themselves protected, when they were actually not. This is particularly the case in states and cities with very restrictive knife laws where they are currently wary of breaking the law. It would provide knife owners an unjustified false sense of security that could trap the unwary. S. 1092 also does not include repeal of the Federal Switchblade Act (FSA). The FSA is a failed law dating from 1958 that adversely impacts interstate trade and shipping of automatic knives. These knives are legal to own in 44 states, the majority with no or minimal restrictions, 32 allowing everyday carry. Keeping the FSA on the books does nothing but cost jobs, revenue and lessens consumer choice. Knife Rights has been responsible for repealing 16 state bans and restrictions on switchblade knives in the last 8 1/2 years. It is well past time for the FSA to go away. 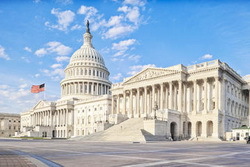 Senator Roger Wicker (R-MS), the second most senior Republican member of the Commerce Committee, offered Knife Rights’ KOPA, including its strong right-of-action and FSA repeal, as an amendment during the markup. Although he withdrew the amendment, Senator Wicker stated that he intends to introduce KOPA in the Senate as a stand-alone bill. This bill will be a companion to H.R. 84, Knife Rights’ Knife Owners’ Protection Act, which was introduced by Congressman Andy Biggs (R-AZ) in the House. Knife Rights’ record of 29 bills repealing knife bans at the state and local levels in 21 states in the past 8 1/2 years is unrivaled. With your support, Knife Rights is rewriting knife law in America™.